Hello! 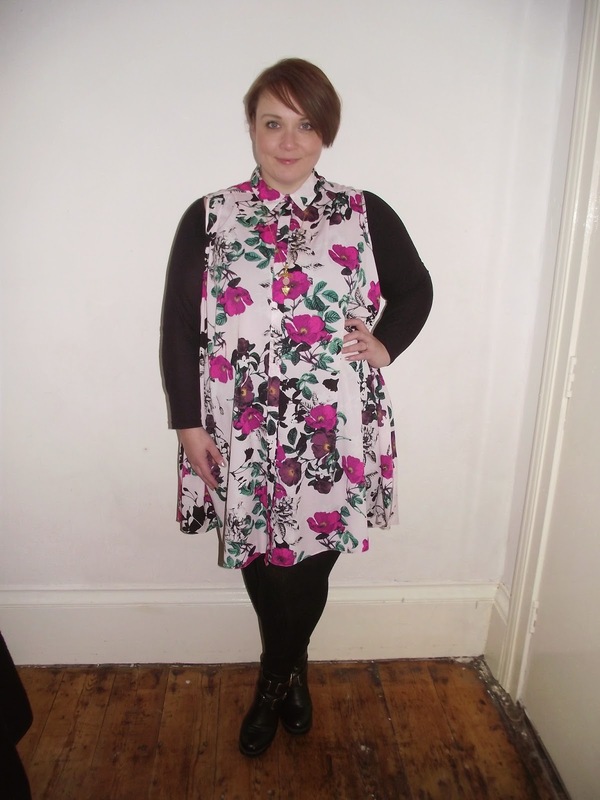 Today I have the prettiest shirt dress to show you from Lovedrobe. It's been a while since I last featured them on the blog, and they have got some really nice pieces coming through for Spring/Summer. 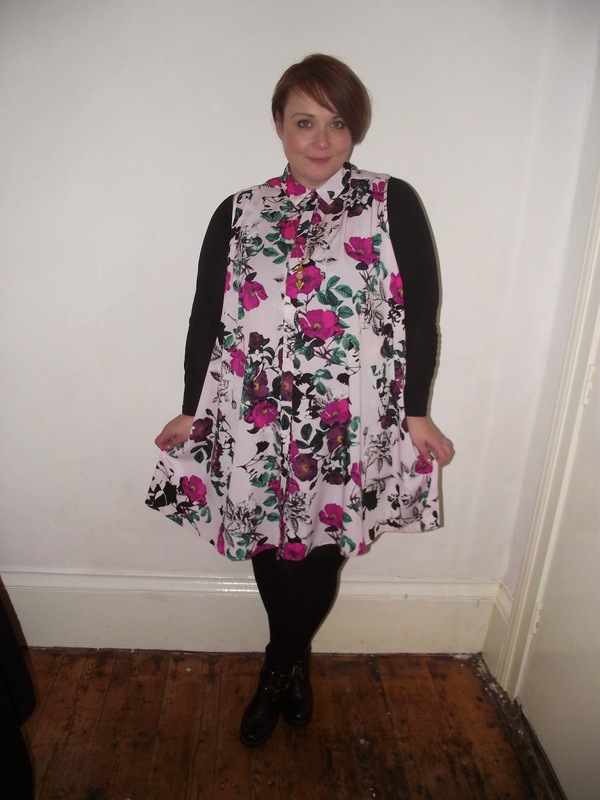 This pretty floral oversized shirt dress is one of said Spring/Summer cuties. And although we are far from the good weather (well it feels that way) I just had to Winterise it by adding my Wingz, thick woolly tights and chunky boots (I also added by bike jacket when I went to uni). I'm wearing the 22/24 but it is super generous so I think I might have been able to size down to the 20 and still have room to spare. The print is so pretty, I can't wait to wear this is the summer with some sandals and well... my tan! 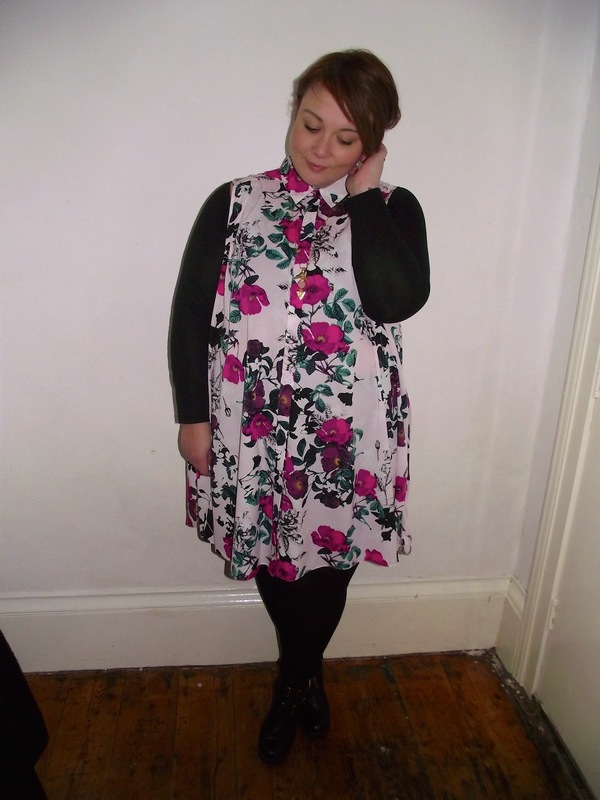 But until then, this is a great piece for layering up. 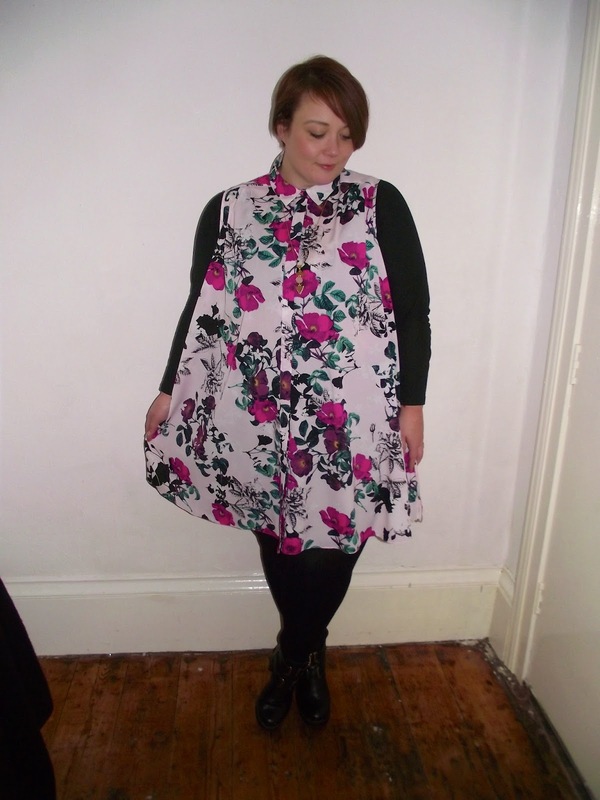 I would also wear this with a big chunky cardigan and boots. I felt quite girly in this which we all know is a little out of my comfort zone, but I think keeping it buttoned up keeps that edge to it that I need! Ohhhh I like that a lot! Wow- so pretty! I'm not even into florals, but you look gorgeous in that outfit!